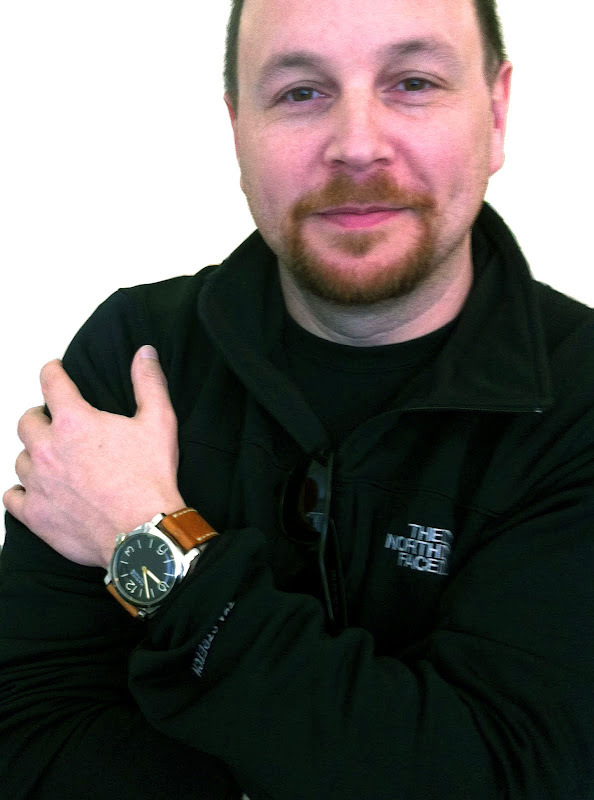 As you know, I have been working on a super-detailed review of the recently released Panerai PAM00372, which today is considered one of the most historically accurate contemporary Panerai watch models. 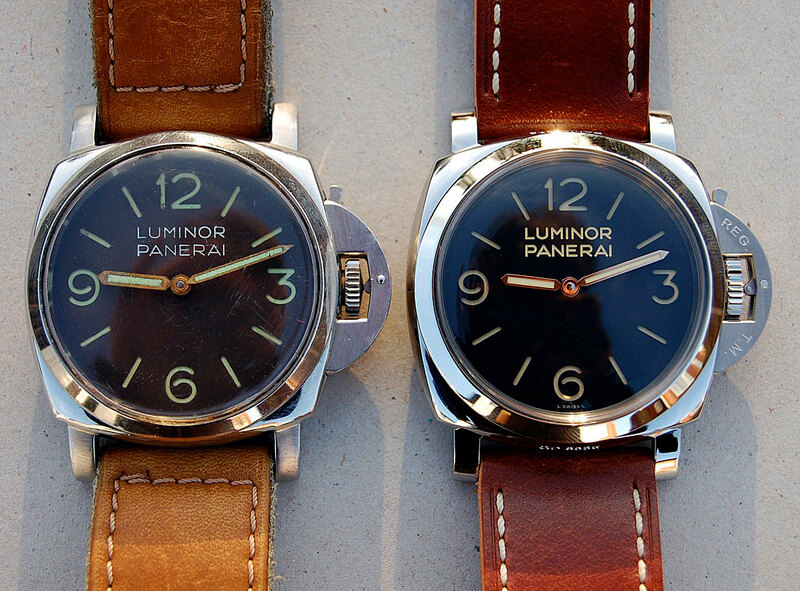 We begin with examining a photo taken by Ben Jones comparing an original vintage 1955 Luminor Panerai 6152-1 next to a Historic Panerai PAM00372 sold in 2012. At first glance the watches almost look identical, but when you drill down into the details, we can see many differences. The PAM 372 has tan lume on the classic 3, 6, 9 and 12 Markers, as well as on the eight straight 5 minute markers, as well as on the hands. I like to think of the tan hands and markers as the watch having a beautiful bronze suntan. 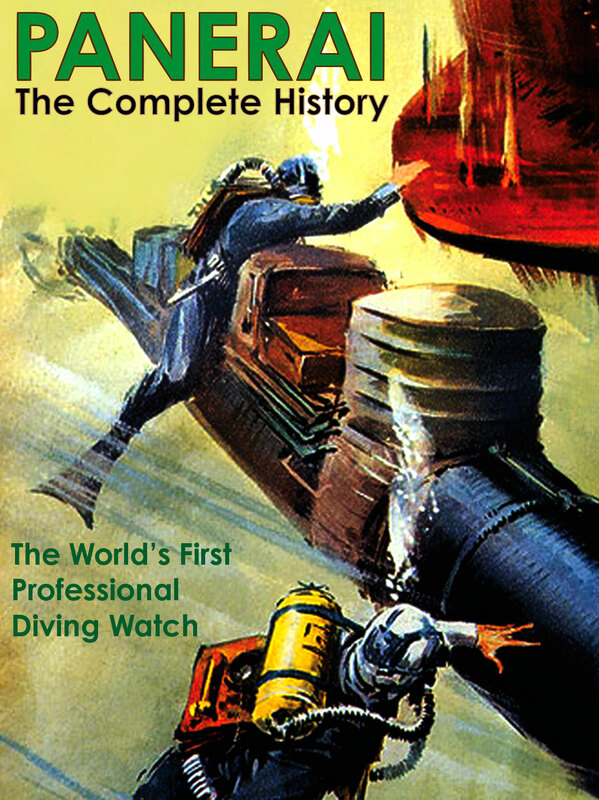 Contrast this with the vintage 6152-1 having mint-green lume. 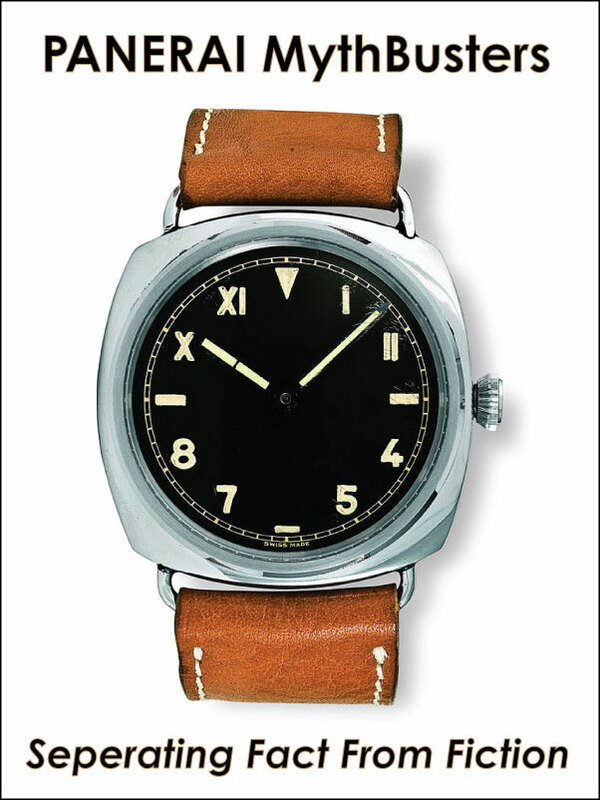 Obviously, the PAM 372 has a more antique looking patina, which is stunningly beautiful. Angelo P, took these first three photos of a new Historic Panerai Luminor next to its archetypical father, the venerable Vintage Panerai 6152-1. 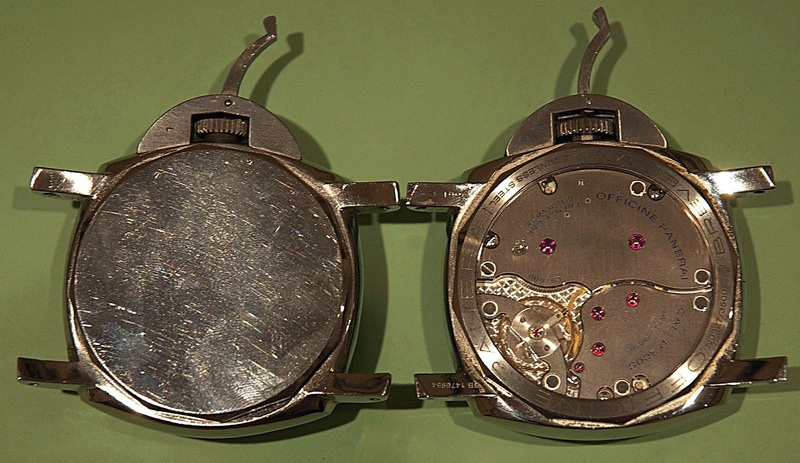 As we can see in the photo below, the PAM00372 is much shorter, trimmer and more streamlined at 16.4MM tall, than its father, the Panerai 6152-1, which is pictured on the right side at a whopping 19.1MM tall. Obviously the 6152-1 has way thicker lugs, and a much thicker case back, as well as a much taller and more curved or convexed crystal. 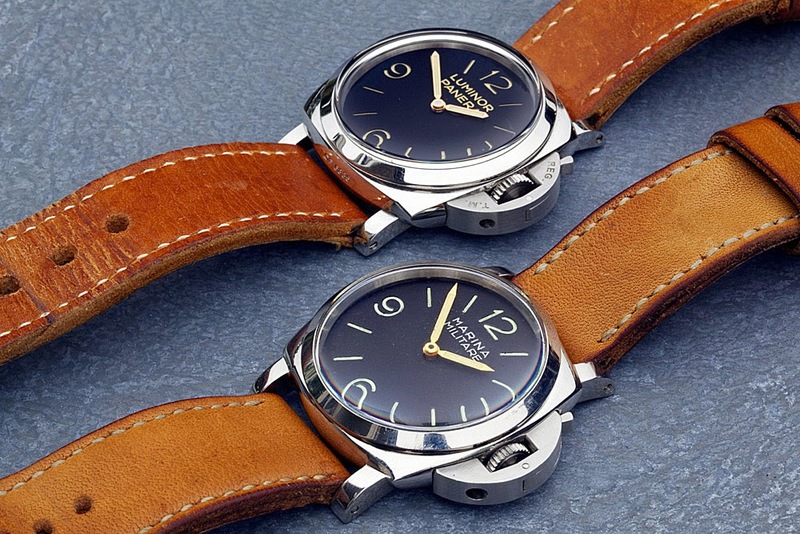 An obvious question, is why doesn't Panerai make a watch identical in every way to the original 6152-1? Who knows, maybe one day, the will? 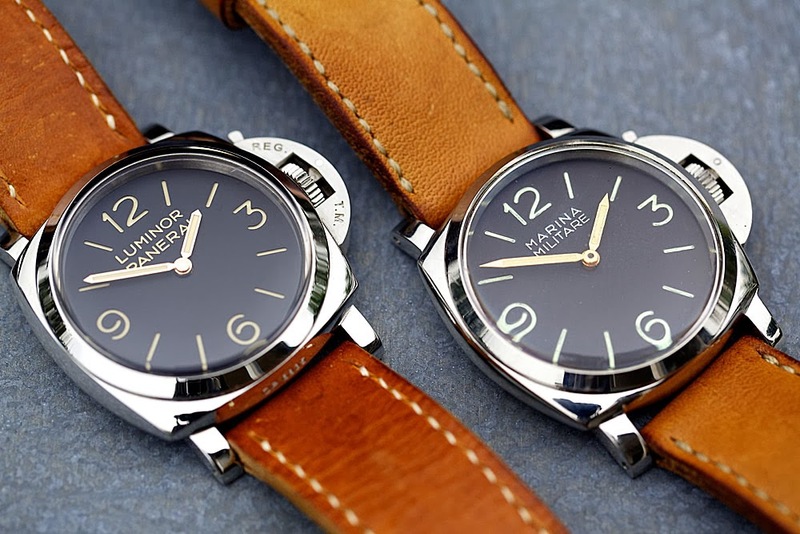 My best guess is that Panerai tried to make the PAM 372 more comfortable and more universally appealing. Also, for many people that are used to wearing watches that are between 34MM and 40MM, jumping up to a now standard 44MM Panerai is quite a change at first, and takes some getting used to. Even going from 44MM to 47MM, seems like a big jump at first, but once you get used to the 47MM, at least in my mind, the 44MM watches seem almost too small. As a designer, I am am fascinated with details, and I can only speculate about why Panerai made the watch skinnier, and when I do, Ancient 18th Century Japanese Zen Haiku poet, Matsuo Basho's famous notion comes to mind, where he famously wrote: "We do not seek to imitate the masters; rather we seek what they sought." In other words, it appears that Panerai today seeks to further improve upon the magnificently timeless 1950s design language. Ryan took these superb photos of his Panerai Marina Militare Reference 6152/1 next to his Panerai PAM00372. If you are not familiar with the Marina Militare dial designation, is was simply another dial designation put on some of their dials instead of Luminor Panerai, or Radiomir Panerai. In other words, the watch below with the Marina Militare dial designation is identical in every way to the 6152-1 pictured above, it just has a different inscription of its dial. 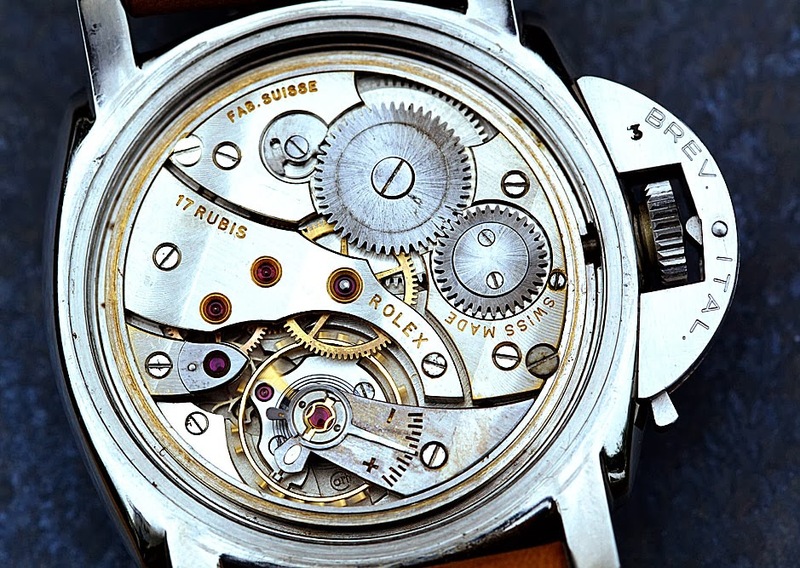 In the photo below you can see the Rolex movement which is a Caliber 618 (Type 4), and notice the "BREV. ITAL." engraving on the back of the Tight Seal Crown Guard protector. "BREV" stands for Brevet, which means "Patented". This watch was made in 1953. Ironically, this engraving inspired Panerai to engrave the "REG. T.M." engraving on the opposite topside of the PAM00372.